Empowering Juniors to gain valuable knowledge in the world of dogs. Young handlers and their dogs experience the rewards of responsibility in the fun environment of the UKC Junior Program. 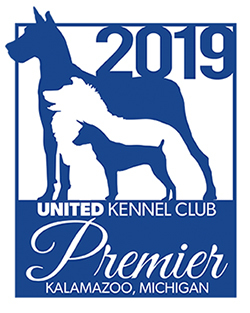 The UKC Junior Program promotes the achievements of Junior members (ages 2-18) in several events offered by the United Kennel Club. Any purebred or mixed breed dog can compete with a Junior handler! Junior handlers enjoy strengthening the dog-handler bond while building good sportsmanship, confidence and communication skills. Active young handlers assure a bright future in the world of dogs as the knowledgeable and dedicated owners of tomorrow.